A new scientific study documented what had been apparent for some time: Voluntary reductions in fertilizer use along the upper Mississippi River aren’t enough to significantly reduce the annual dead zone in the Gulf of Mexico. 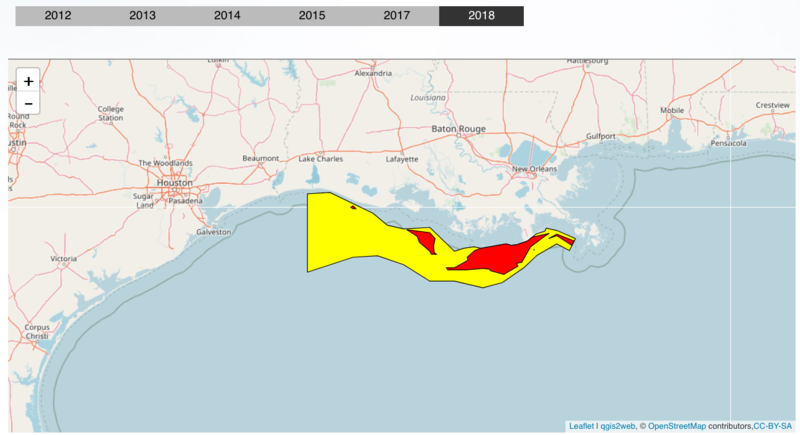 The fertilizer limits have been in place since 2001, and the goal was to reduce the size of the dead zone to no more than about 1,900 square miles by this year. That isn’t going to happen. 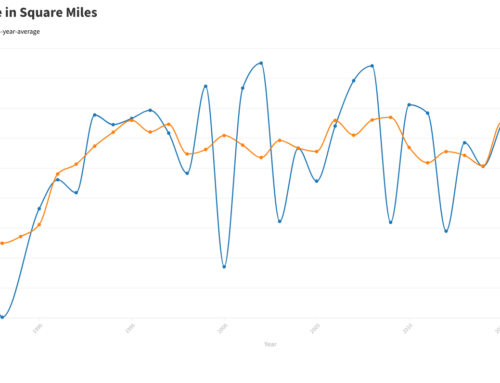 If the 2014 data are any indication, it won’t even be close. 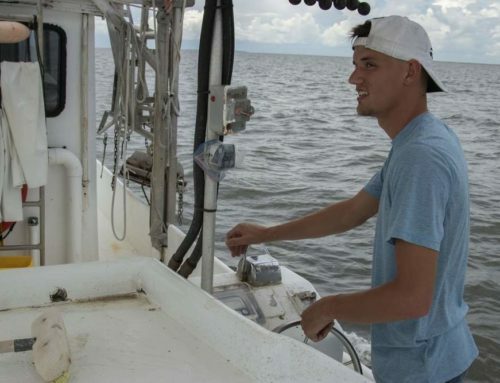 The dead zone covered 5,052 square miles last August, according to measurements by researchers with the Louisiana Universities Marine Consortium. 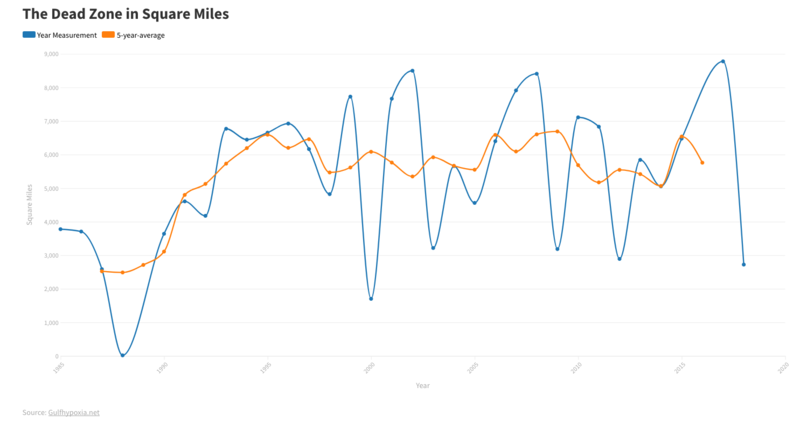 The average over the past five years has been about 5,500 square miles. 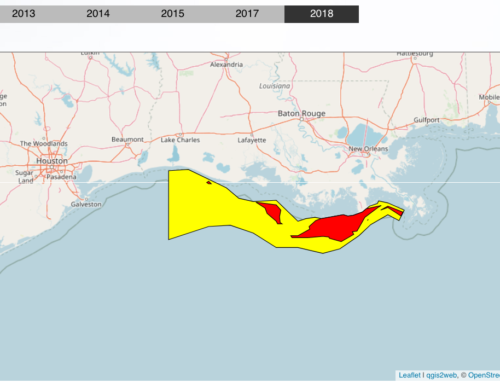 The annual area of low oxygen in the Gulf shrank to 2,889 square miles in 2012 — one of the smallest dead zones in almost three decades. But that was due to a drought up river, not to the fertilizer measures. So the results of the study published this month in the Journal of the American Water Resources Association aren’t surprising, but the research still is valuable. The study lays out other strategies that, combined with the voluntary limits on fertilizer use, could have a significant impact on the dead zone. The scientists think it’s possible to achieve the 45 percent reduction in nitrogen the Environmental Protection Agency says is needed to get the dead zone under 1,930 square miles annually. 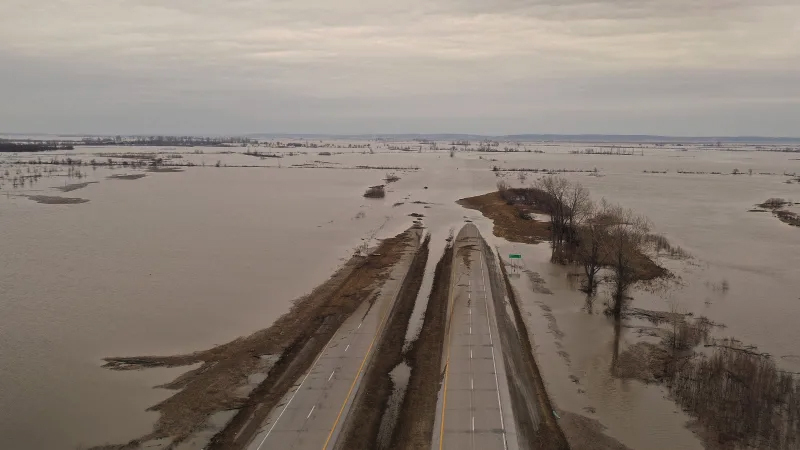 In addition to the fertilizer limits, they recommend enhancing drainage ditches, restoring wetlands on some marginal cropland and reconnecting rivers to their flood plains. Those efforts essentially would create wetland filters to remove nitrogen and other nutrients before water drains off of fields and into waterways, the study said. The land in question isn’t very productive now, so there would be minimal effects on farm production, it said. "Soil health and fertilizer efficiency measures across the Corn Belt can get us two-thirds of the way to the tipping point," Ellen McLellan, the study’s lead author and Environmental Defense Fund senior scientist, said in a news release. "But by strategically placing wetlands on less than 1 percent of the region’s croplands, we’ll be able to reverse the trend of significant losses in aquatic life, and improve flood resiliency for downstream communities with minimal impact to crop production," she said. The main causes of the dead zone, which was discovered in the 1970s, are well known. 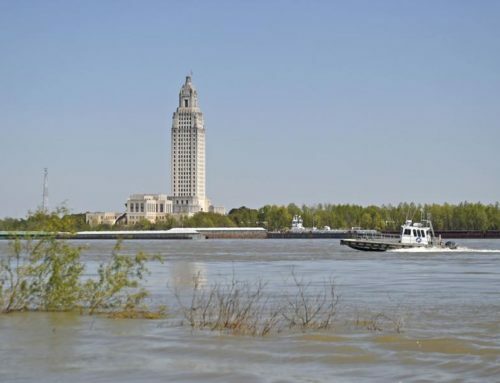 Nitrogen and phosphorus from farmland flow into the Mississippi and Atchafalaya rivers and eventually the Gulf of Mexico, where the nutrients cause massive algae blooms. When the algae die and decay, oxygen is sucked out of the water. The resulting hypoxia kills bottomdwelling marine life and forces fish and shrimp to move to areas where there is more oxygen. 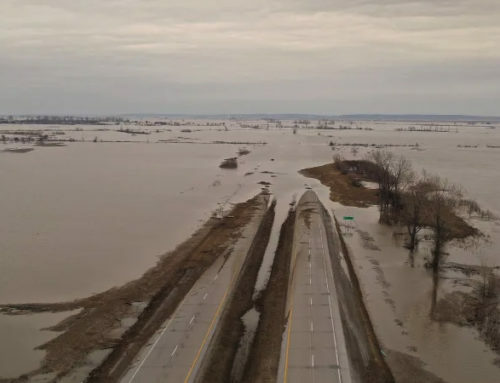 The effort to reduce nitrogen and phosphorous runoff has been complicated by the increase in corn production for ethanol, a practice the federal government has encouraged. Nearly 4 million acres of farmland had been taken out of production through conservation incentives by 2008, and another 18.3 million acres had nutrient management plans. But the boom in ethanol resulted in 15 million new acres of farmland being planted with corn in 2007 alone. Nitrogen and phosphorus are certainly not the only pollutants that arrive in the Gulf of Mexico via the Mississippi and other rivers. Herbicides, pesticides and pharmaceuticals also flow into the Gulf. The same type of chemicals that were used to disperse the oil from the BP spill in 2010 enter the Gulf every day, from household soaps and industrial solvents. 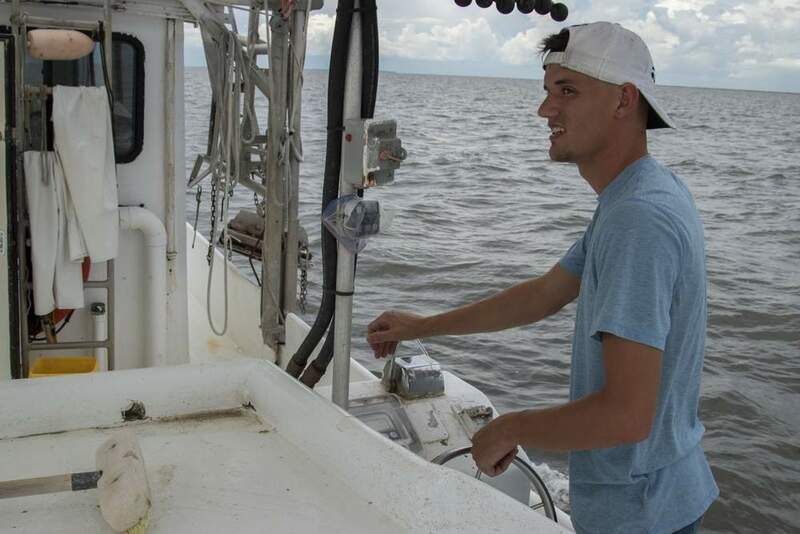 Researchers call those substances "emerging contaminants" that may hurt marine life. But the effects of fertilizer runoff from farms are well known and well documented. Reducing the amount that ends up in the Gulf is essential. After 14 years of futility, it’s time for a new approach to get that done.